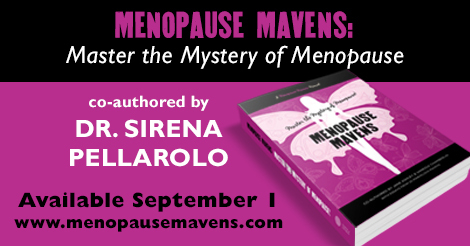 Menopause Mavens: Master the Mystery of Menopause for purchase here! I am so proud to introduce to you the collection I have co-authored with other twenty-four wonderful women. Menopause Mavens: Master the Mystery of Menopause is a “hot” resource that participates in the building of a movement of midlife women on a mission to deconstruct the maligned rap that this stage in every woman’s lives has received for decades. As we reframe menopause on our own terms, we create a community of empowered midlife women who dare to use this portal of transformation to give birth to the best version of themselves they could have ever thought they could become. Are you ready to join this midlife women’s movement that will revolutionize life as we know it? If you are, read about how other sisters have done it already, by purchasing your copy of Menopause Mavens: Master the Mystery of Menopause, here. And one more thing. When you purchase your copy in my website, you will get free shipping and a complimentary Breakthrough Session with me ($150 value), to kick-start your transformation. This entry was posted in healthy living, menopause symptoms, midlife women, personal growth, women and aging, women's empowerment, women's spirituality on October 24, 2015 by Sirena.